Located in Toronto's Famous Queen West Neighbourhood, Frankie's Diner has been offering Toronto's best burgers. Frankie's Diner, located near the corner of Queen and Ossington, in Toronto's Queen West neighbourhood, has been a local institution for some of Toronto's best burgers. With a focus on quality ingredients and handmade perfection, There's something for everyone's taste at Frankie's. BBQ pulled pork, peameal bacon, strip bacon, deep fried pickles, onion rings, deep fired jalapenos, fried egg, cheddar and swiss. Jalapeno havarti, bacon, lettuce, tomatoes, red onion, and in-house "Smoking Hot Honey Mayo". Frankie's Original Patty with in-house secret sauce, lettuce, pickles, onion, and cheddar cheese on a specialty sesame seed bun. Canadian cheddar cheese, peameal bacon, and in-house specialty maple mayo. Add a Poutine to make it a classic! BBQ pulled pork, provolone cheese, lettuce, tomato, red onion, and topped with Frankie's original coleslaw. Bacon, avocado, cucumber, lettuce, tomato, red onion with your choice of cheddar or blue cheese. A hollywood favourite! Feta cheese, tzazitki sauce, tomatoes, cucumbers, red onions, lettuce, and a drizzle of olive oil. Freshly grilled chicken breast with: bacon, cheddar, lettuce, tomato, and mayo. Peameal bacon, lettuce, tomato and mayo on toasted Challah. Classic and perfect at any time of day, morning, noon and night! BBQ pulled pork, coleslaw, provolone, and delicious in-house chipotle mayo, served on grilled rye. Frankie's twist on the classic Philly Cheesesteak sandwich. This steak slices served on a fresh hoagie bun, smothered in cheese sauce, sauteed mushrooms, bell peppers and fried onions. Montreal smoked meat, sauerkraut, swiss cheese and thousand island dressed, served on grilled rye. Add mustard to take it to another level! Freshly ground turkey burger on a whole wheat bun, topped with our homemade coleslaw, onion straws and chipotle mayo, for those of you looking for a healthier option. 100% Canadian Beef hotdog, ready for full customization. Ask about chili and cheese, or curds and gravy! Chicken wrap, completely customizable to your taste: crispy or grilled, buffalo, sweet chili thai, caesar or greek. Frankie's classic fried chicken served sizzling hot on a fresh, homemade waffle, served with butter and REAL maple syrup. Not just for kids. These are not your everyday chicken fingers. We deep fry only the chicken breast tender for a juicy, mouth water that will have you given up the nuggets. 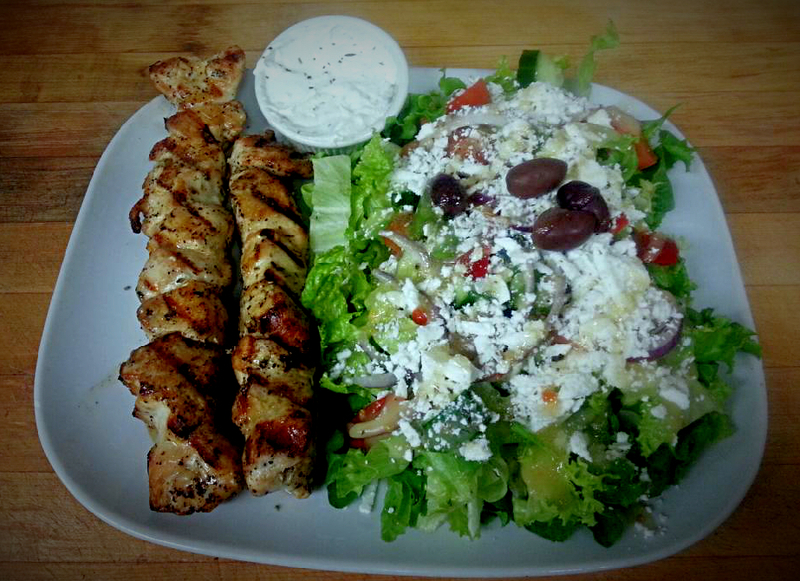 Fresh, lightly marinated chicken or pork, grilled to perfection, with your choice of sides, greek salad, fries, or seasoned lemon rice. Ocean fresh haddock filets, lightly battered. 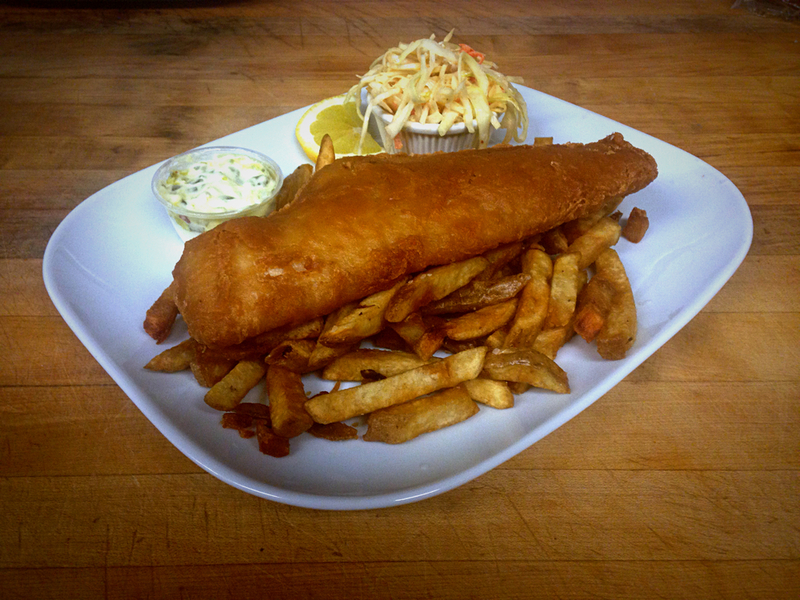 Served with fresh lemon, tartar sauce, homemade coleslaw and a big batch of a fresh-cut fries. 3 eggs and style, 2 strips of bacon, 2 sausage, 2 slices of peameal bacon, 2 slices of smoked ham, 2 pancakes. 6 oz. New York Striploin, grilled to your preferrence, 3 eggs any style, sizzling home fries, and 2 slices of toast. Fresh and juicy grilled chicken breast with 3 eggs any style, home fries and 2 slices of toast. 3 Eggs any style, 2 strips of bacon, 2 sausages, 2 pancakes, home fries and 2 slices of toast. 3 Eggs any style and your choice of bacon, sausage, or hame served with home fries and toast. Guacamole and cheese omelette, served with home fries and fresh toast. Ham, green peppers, onion and cheese, served with home fries and fresh toast. Tomato, onion, green pepper, olive oil and feta cheese, served with home fries and fresh toast. Ham, Mushrooms and swiss cheese, served with home fries and fresh toast. Tomato, onion, green pepper, served with home fries and fresh toast. you choice of cheese, served with home fries and fresh toast. Ham, green peppers, onion and cheese served on your choice of bread, toasted or not.